If you are looking for high quality moving company, it is not easy because superficially most movers seem to offer the same services. 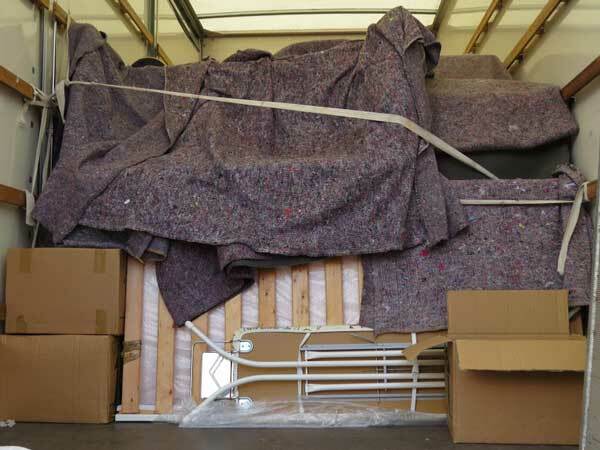 However there is a world of difference between different removals companies. This article will give some background and suggest questions to ask your mover to find out if they will meet your needs. Here are a number of questions to ask your moving company to make sure their policies, procedures and standards will protect you from an unhappy moving experience. In fact if you will be interviewing several companies, it will be a good idea to compile a moving company checklist to easily see the differences. Firstly do some research on the company – ask family and friends is they have moved recently, and if so what was their experience with the movers. The difficulty with this approach is that people don’t move house too often and there may not be any recent information. In that case start checking online for reviews of moving companies in your area, on review site like yelp and google reviews. Also check to see if there are any complaints registered with the local chamber of commerce and local government trading standards agencies. Ask your mover if they will provide several recent references. Most reputable movers will have happy customers who will be willing to confirm their satisfaction. If not, this is a big red flag! Does your moving company have an insurance policy with an insurance company, or are they self-insured? There is a big difference, as self-insured is only as good as the assets of the insurer, and you can be assured that insurance companies are well funded to cover relocation claims. Another insurance point to ask about is the type of coverage – is it covered by weight only or full-replacement value. Some companies cover your valuables by the pound weight, so This makes a big difference if for example your large-screen TV falls off the back of the moving truck, coverage by weight would mean that you would only get a small fraction of the true replacement cost. Don’t forget to ask to actually see their insurance certificate, and check f there is any additional charge for insuring valuable items. Do they offer a packing service, where they will come in advance, carefully wrap and box delicate items, and have everything ready on moving day? Also many reputable movers will offer a disassembly and re-assembly service for furniture, as well as disconnecting and reconnecting large appliances. How do they take care of precious items and furniture? Will the cover all mattresses with plastic covers, and use padding and moving blankets on the edges of sofas, chairs and tables. How will they wrap glassware and mirrors? Will they cover the carpets with sheeting if it is raining to avoid dirt being walked into the home or office? All good questions to ensure a problem-free move. Will the company be able to provide a written inventory list of items to be moved? If you have a large number of items in your home, it will be easier to check the safe arrival of everything, and will also be useful if an insurance claim is needed later. Most quality movers will send an estimator to your home or business at no charge to inspect the furniture and accurately assess the work involved in moving. Ensure you get a written price quotation of the final moving price. It is a good idea to ask for comparison quotes, one based on the inventory, and another based on their hourly rate. That way you can make sure you are getting the best possible price. Most good removals companies will be happy to provide a written estimate at no charge. Ensure that the quoted price is based on inventory, rather than a flat-fee, as this will be more accurate. What you want to avoid is discovering there are additional fees at the last moment when it is too late to choose a different moving company. Finally, when you have the details and estimates from at least 3 different movers, you will be in a position to select the best moving company for your home or business move – good luck on moving day. There are a large number of items to check before making a move, wherever it may be. The one essential point common to all moves is that the more planning you do, the smoother the move. A report is available that was professionally written by an unbiased, professional writer that specializes in the moving industry. This free report will give you the confidence and guidance you need when not only searching for the best deals but also the all-important questions to ask so you can avoid potential heartache and frustration. After you’ve had a chance to review the report one of our representatives may contact you to provide a complimentary, no obligation consultation. Contact us for a copy of the report. Relocating or moving into or out of your home or business can be a stressful time, here are some tips and advice from Movers Plano to make your relocation as smooth as possible. First of all, make sure that there is plenty of parking space for the movers truck and enough room to extend the ramps at the back. A good idea is to use some cones or park your own vehicles in the space needed when the truck arrives. It will make loading and unloading a lot easier and faster in the truck can park as near as possible to your entry door or garage. Tell your neighbors to expect the truck and they can move their vehicles out of the way temporarily. Planning the packing is important, don’t delay everything until the last moment. It takes a lot longer than you expect to properly pack and label boxes. Label all contents and put which room it belongs in for fast unpacking. It’s a good idea to pack well in advance, start early and devote a few hours at a time to packing items, which are not needed straight away. Packing properly will save you money, time and a great deal of frustration. For example books can be very heavy, so use small boxes for those as much as possible. If you only have large boxes, just place heavy items half way, and fill the rest with lighter items so the weight of the box is manageable. When wrapping delicate or fragile items, be generous with bubble wrap, as well as layers of paper. Don’t use newspapers as the ink from the print can leave marks. Make sure you don’t lose small items by placing them first in a small box before wrapping. Use tape over the wrap to keep everything in place. You can also write on the tape to identify the item. China and glass in particular need great care. Use several sheets of paper to line the bottom of the box. Wrap up the glass or china with white paper and place them in a box. Use bubble wrap as well. Once packed, place more paper on top. Then do another layer until the box is full. You can also use soft items like cushions to provide extra padding. Mark the delicate boxes clearly with “fragile”. Any staples in the boxes should be removed, as they may scratch your furniture, or wood floors. It is best to tape the boxes closed with at least three strips of tape. Make sure the tape comes halfway down the sides to give enough strength to keep the box closed. It can easily be cute to open the box later. Once the boxes are packed, put them against the walls and make sure there are clear paths between boxes. Try to stack similar size boxes on top of each other, as haphazard stacking might result in tipping, and damage your possessions inside. Finally, although it seems obvious, don’t pack important documents. When the arrival time of the truck is close, things get scooped up quickly. So watch out for checkbooks, passports, or airline tickets. 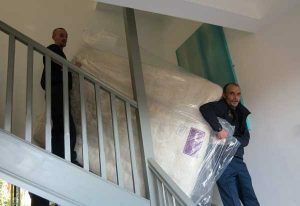 It is a good idea to find our more from other movers websites, as the more information you can gather in advance, the more prepared you will be when the moving day arrives. Remember the scout motto – be prepared!